I tried liking another Gelaskin. I really did. 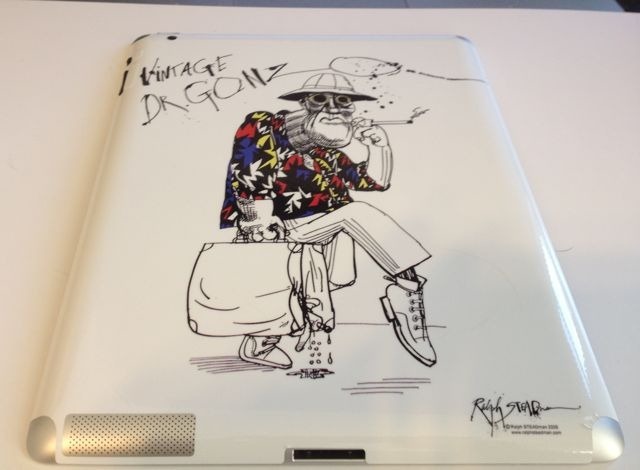 But I missed Dr. Gonzo – it didn’t feel the same seeing the back of my iPad 2 without seeing Gonzo making trouble back there. I had tried re-applying my original Gonzo gelaskin a while back – and though it went mostly well there were a few sections that just refused to stay on properly. So I ordered another one recently and got it re-applied just a couple days ago. At $30 a pop these are not a throw-away expense, but I still haven’t found one I like as much so it was worth it to me. As usual, my install of the gelaskin is far from perfect but it feels good enough to live with quite happily. Plus, hey, Gonzo is back. Fear and Loathing on the iPad 2 once again.